Go to the ant, O sluggard; consider her ways, and be wise. 7Without having any chief, officer, or ruler, 8she prepares her bread in summer and gathers her food in harvest. 9How long will you lie there, O sluggard? When will you arise from your sleep? If you look at the sixth verse of the sixth chapter of Proverbs, you will read, "Go to the ant, thou sluggard; consider her ways, and be wise." A sluggard, you know, is a man, or woman, or child, who does not love to read or to do any kind of work, but likes to sleep or be idle all the day long. Do you think you were ever acquainted with one? Now see what the Bible tells the sluggard to do. It bids him go to the little ant, and "consider her ways," that is, look on and see what she does. 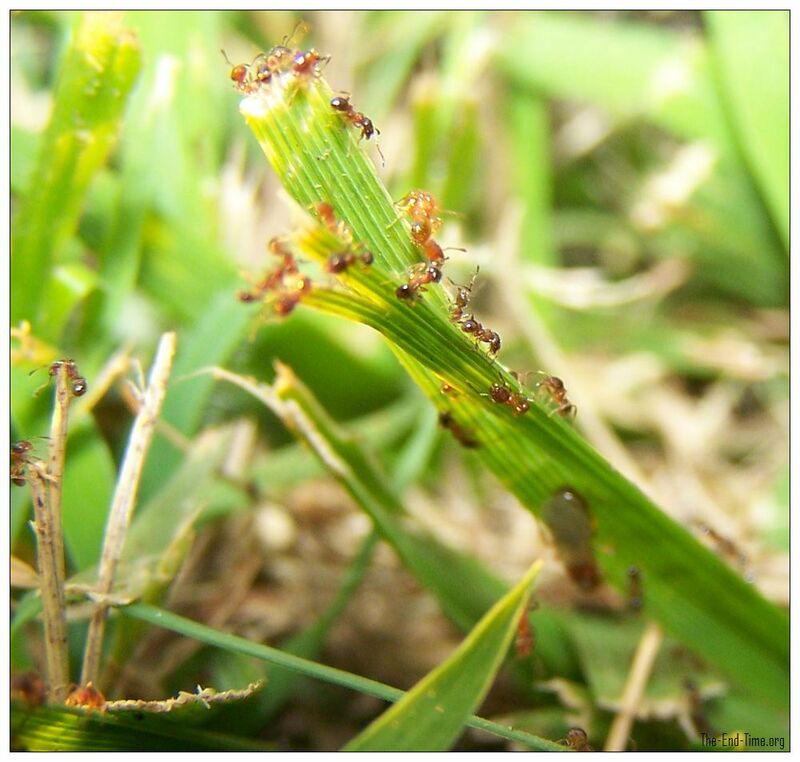 Have you ever watched the ants when they were busy at work? It will give you very pleasant employment for half an hour on a summer’s day. In some places you may see small ant-hills scattered about, so close together that you can hardly step without treading on them; and you may find other places where there are not so many, but where the hills are much larger. I have seen them so large that you could hardly step over one of them without touching it with your foot and breaking some part of it. And then how busy the little creatures are! Just kneel down on the grass beside them, and notice how they work! You will see one little fellow creeping along as fast as he can go, with a grain of sand in his mouth, perhaps as large as his head. He does not stop to rest, but when he has carried his grain to help build the hill, away he goes for another. You may watch them all day and never see them idle at all. The ants seem to be very happy, and I think it is because they are so busy. God has put nobody in this world to be idle: even children have something to do. The inside of an ant-hill is very curious, but it is not easy to examine it without destroying all the work that the little insects have taken so much pains to finish. There is a kind of ant in warm climates that builds for itself hills as high as a man. They are not made of sand, but of a kind of clay; and have a great many cells or apartments, and many winding passages leading from one part to another. All this is done, as the Bible says, without "guide, overseer or ruler;" that is, they have no one to direct them how to do it. God gives them skill just as he does to the honey-bees in building the beautiful cells which you have so often admired; all His works are wonderful. Cook, H. N. (1842). The Scripture alphabet of animals. New York: American Tract Society.